The Leland House and Rochester Hotel are historic buildings which have been restored and are owned and operated by a mother/son team. 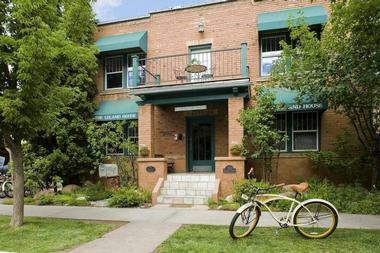 Located in Durango,, guests will enjoy the Western feel to each of the rooms. These two properties are located across the street from each other so the amenities available at one are interchangeable with the other. There are a total of 26 guestrooms available as well as an on-site bar/lounge. Guests will have access to complementary high speed Wi-Fi as well as free self-parking. The concierge service is happy to assist guests in planning day trips in the area, answering questions about hiking trails nearby, recommending local eateries and much more. Guests will enjoy a complimentary breakfast daily while staying at The Leland House and Rochester Hotel. There are 26 rooms in total between the two properties. At The Leland House, guests can choose from three room categories or one suite option. Depending upon the number of guests staying in the room, there are Queen Rooms, Queen Suites and the Double Queen Room. The suite is called The Pittman Suite. The Queen Rooms come equipped with one queen size bed in a bungalow style room. There is a wet bar complete with mini-fridge, sink and coffee maker. This room is suitable for a maximum of two guests. Queen Suites are a larger, apartment style room. They feature a living room area with a sofabed, allowing up to four guests in the room and a cozy gas fireplace. There is a small dining area, a full kitchen with fridge, stove and oven plus all necessary dinnerware, cookware and cutlery. The queen size bed is located in a separate bedroom area for added privacy. The Double Queen Room has its very own entrance and is actually located adjacent to The Leland House. The room boasts two queen size beds plus a separate living area, mini-fridge and coffee maker. This is the only pet-friendly room at The Leland House. A maximum of four guests may stay in the Double Queen Room. The Pittman Suite will allow for up to six guests with one king bed, one queen bed and a pull-out queen size sleeper sofa. This large suite features a full kitchen with all appliances and kitchen necessities supplied. 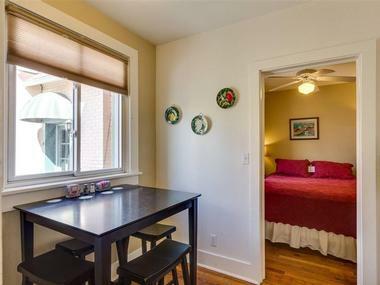 There is a dining area for families to gather at meal time and two separate bedrooms. 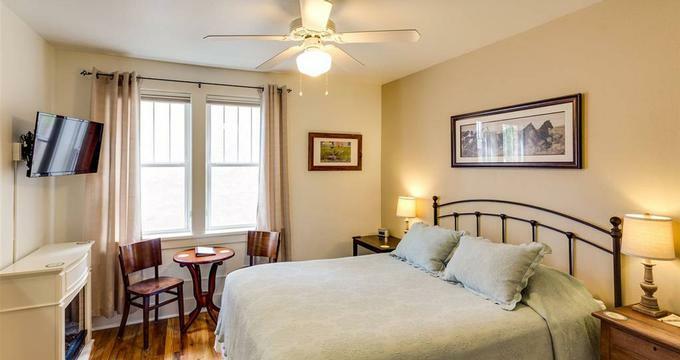 One bedroom features a queen size bed with a private bath and the other bedroom has a king size bed with a master bathroom. From the living room, guests can walk out to their own private balcony which overlooks 2nd Avenue as well as the Rochester Hotel across the street and the Secret Garden. 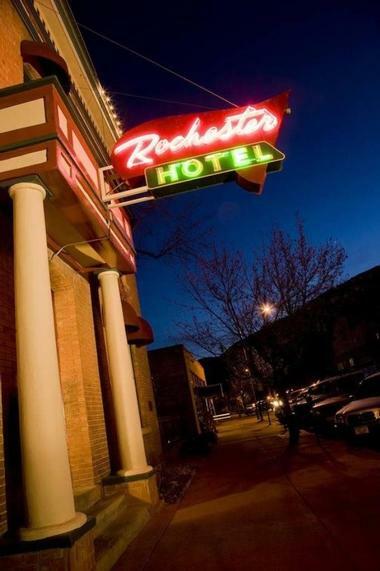 The Rochester Hotel features three room types to choose from: Double Queen Rooms, King Rooms and the one suite known as The Loft. The Double Queen Rooms are perfect for up to four guests, with two queen sized beds as the focal point of the room. 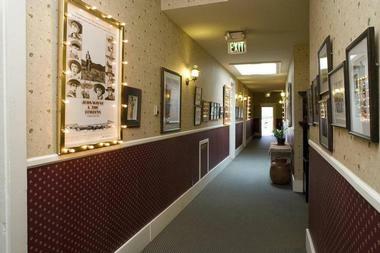 Each room is decorated in a Western theme, featuring movie posters from films shot in the Durango area. There is a writing desk and chair in the room as well. The King Rooms offer one king size bed, perfect for up to two guests. These rooms boast wonderful, high ceilings and spacious layout. The desk and chairs are perfect to stay on top of business while away from home. The Loft is an outstanding apartment-style suite which features one queen bed in a bedroom area and another queen bed behind a curtained off nook for added privacy. The living room boasts a cozy gas fireplace and gorgeous views of Perins Peak. The full size kitchen with all necessary dinnerware, cookware, and appliances, is the perfect place to cook up an in-room meal and enjoy in the dining room area. The Loft has its own private entrance to the side of the Rochester Hotel. This suite can accommodate a maximum of four guests and is also pet-friendly. Guests should note when booking The Loft, there is a two night minimum. While there is no restaurant on-site at The Leland House and Rochester Hotel, included with each visit is a hot, gourmet breakfast which is served daily in the Rochester lobby. Guests will enjoy a feast similar to that of a Bed & Breakfast. In the afternoon, staff set out tea and coffee service along with fresh baked cookies for guests to snack on. With the hotels close proximity to downtown and shops and cafes, guests will not have a problem finding an establishment for a delicious meal. The Cyprus Café is located only two doors down from The Leland House and Rochester Hotel. They serve up Mediterranean cuisine for both lunch and dinner. They boast a large patio area for outside dining. Their menu consists of fresh, local ingredients both grown in their own gardens and grown at local farms. This Farm-to-Table restaurant has something for everyone from salads and sandwiches to full entrees like Beef Tenderloin or Black Grilled Cornish Game Hen. Wine is available with every meal as well as a tempting dessert menu. The Rochester Bar was established in 2012 within The Rochester Hotel. It is the perfect place for guests to enjoy one of the many fine wines or crafted cocktails on the menu. The “Secret Garden” at the Rochester is an outdoor patio area where guests can sip their drink and catch live entertainment, or local art displays or just relax in a serene atmosphere. There is a Summer Concert Series in the Secret Garden each year which features a different local musician or band each week. There is a $10 cover charge which is pooled over the course of the summer and divided up amongst the musicians who have performed all summer long. It is a great way to support the local talent. The Leland House and Rochester Hotel are committed to the environment and reducing their own carbon footprint as much as possible. They have installed low flow toilets and provide conservation cards which guests can put out to indicate they will not require fresh towels that day. This helps to reduce water consumption. They have a very comprehensive recycling program in place as well. The coffees and teas that are served daily are fair trade and organic. Guests will find lotion and shower dispensers in place of small bottles, which helps to reduce waste and use of plastic bottles each time a new guest arrives. The Leland House and Rochester Hotel brought in Four Corners Office of Resource (4CORE) to run an assessment of their energy usage and efficiency in order to better understand areas of improvement that are needed. This helps the hotel to improve themselves on an ongoing basis. 4CORE offers a program called Solarize La Plata, which The Leland House and Rochester Hotel have signed up for in order to have solar panels installed and conserve even more energy. Children are welcome to stay with parents in one of the larger rooms or suites. The rooms featuring kitchens and living areas would be of great value to families giving everyone much needed space. Families with children may enjoy local attractions such as The Powerhouse Science Center, located in the historic power plant, along the Animas River. It offers many hands-on exhibits and displays to engage people of all ages. The many closeby National Parks make for wonderful hiking and picnicking opportunities. Adults and children alike will be awe-stricken by the amazing rock formations or the San Juan Mountains. A beautiful, scenic golf option in Durango, Colorado is The Dalton Ranch Golf Club, which is only a short 15 minute drive away from The Leland House and Rochester Hotel. It is open to the public and offers a spectacular view of the San Juan Mountains and runs along the Animas River. They offer 18 holes of challenging golf for all skill levels. Their pricing includes cart rental since non-members are not permitted to walk the course. There is a Pro Shop and restaurant on site as well for guests’ enjoyment. 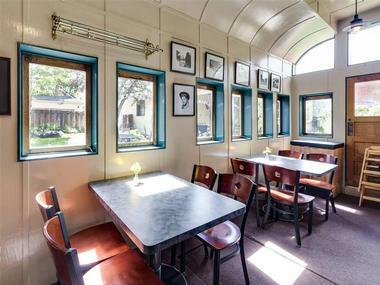 The restaurant, The Swing Restaurant, is open to the public and is found inside the Dalton Ranch Club House. The course is open seasonally, and hours vary so it is recommended guests check ahead of time to ensure availability. Whether guests are planning a corporate function, a celebratory event like a birthday or anniversary or a big day like a wedding, The Rochester Hotel and Bar offers the option to host in a memorable, intimate venue. The staff are only too pleased to assist in bringing together each event to perfection. The “Secret Garden” is a picturesque backdrop for a wedding ceremony and reception as well as other private events. There are tables, chairs, an outside bar and umbrellas available for use. If guests prefer to host indoors, The Rochester lobby is available for reservation as well. Since each event is unique, it is best to call and discuss exact requirements and details with the staff.